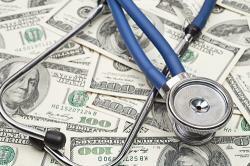 Most medical practices have tight and challenging cash flows. These practices often deal with private and government insurance programs that want to pay less and take longer to pay. Expenses, on the other hand, have to be paid as they accrue. This scenario creates a financial problem due to the timing of cash flows. Money often flows out faster than it flows in. The medical practice may be profitable, but it is cash poor. One simple way to improve your cash flow is to ask vendors for 30- to 60-day payment terms. Most commercial transactions, especially with larger companies, are made on 30- to 60-day payment terms. These terms give the client up to 60 days to pay an invoice. Large companies demand terms because it helps their cash flow. Your medical practice can do the same and ask vendors to provide terms. Keep in mind, however, that providing terms is the same as providing commercial credit. Vendors provide terms only if they think the medical practice has good credit. If your medical practice doesn’t have a commercial track record or references, don’t worry. We are going to describe a strategy to build your commercial credit fairly quickly. Before asking for payment terms, review the credit report of the medical office. You can get a report at Dun and Bradstreet, Cortera, or Experian. Dun and Bradstreet is the most frequently used credit bureau, but they are all good. Your business credit profile gives you a starting point for negotiations. Once you start negotiating with vendors, ask for as long a term as they are willing to offer. If they are unwilling to give you any terms, ask for ten days. Most vendors will agree to at least ten days. You can build on that. Here is the important part of the strategy: pay your vendors a few days early. If they gave you ten days, be sure they are paid by day six or seven. Pay in this manner every month. Before long, your company will have a track record of on-time payments or, better yet, a track record of early payments. This record will make you stand out and you will become a creditworthy client. After four or five months of early payments, call and renegotiate payment terms. Ask for a longer term. Point to your track record as a good payer. However, don’t push it by being too aggressive. Ask for five or ten additional days. The idea is to gradually work your payment terms up to 40, 50, or 60 days. Then, go back to paying your vendors a little early. Repeat this cycle until you have reached your objective. Avoid late payments at all costs. Corporate credit managers tend to be idiosyncratic when it comes to payment terms. A single late payment can ruin a long track record of early payments. If, for some unforeseen circumstance, you must pay late, consider warning the vendor ahead of time. Few – if any – medical offices offer this courtesy. Your vendor will appreciate it. Consequently, it will set you apart and help preserve your reputation as a reliable client. If the medical practice cannot pay all its vendors early, consider making early payments to selected vendors. To determine which vendors are reporting payment trends, review your commercial credit report and also ask vendors directly – because reports don’t always show everything. Use this information to build a list of vendors that report credit. Pay those vendors a little early while paying everyone else on time. This strategy improves your practice’s credit report, which you can use to get better terms. What if you still have cash flow problems? Getting payment terms from vendors improves the cash flow of your business. However, if you still have cash flow problems, read “Diagnosing Cash Flow Problems in a Medical Practice” to help you root out the problem. 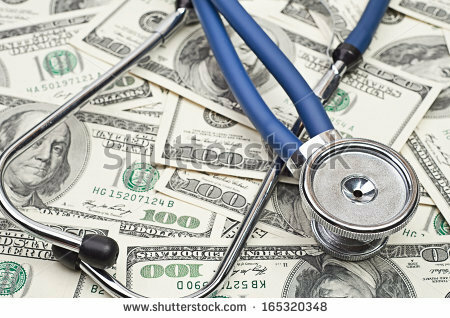 If your main problem is that you cannot afford to wait 90 – 120 days for your medical claims to get paid, read “Financing a Medical Practice with Cash Flow Problems.” The article discusses medical factoring (here is more information), a financing tool designed to help medical offices with cash flow problems due to slow-paying medical claims. Both articles are available at Healthworks Collective.